There is no time like the present to “check yourself”. 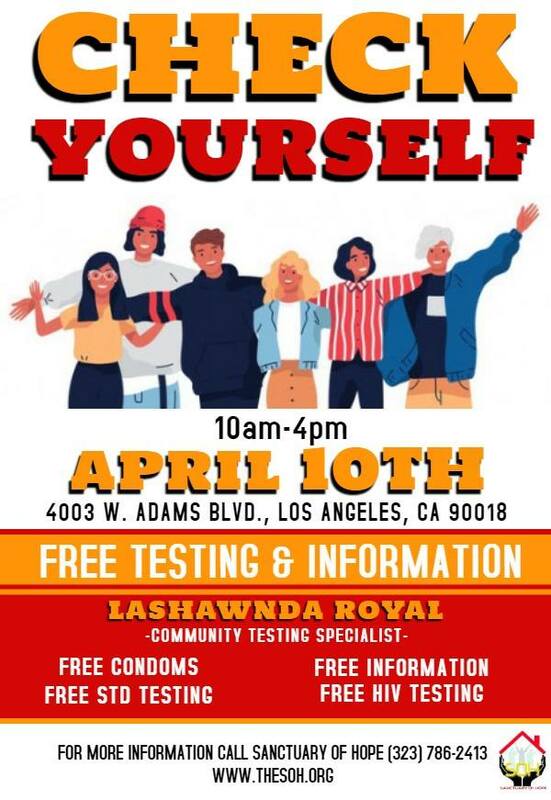 Free testing and information this Wednesday, April 10, 10 am at Sanctuary of Hope’s (SOH) Adams’ location. Help spread the word and empower young people to know their status. A community testing specialists will be at SOH Adams twice a month on Wednesday. Please contact the office for upcoming testing and information dates at 323-786-2413.